Web MIDI API on Chrome gets new feature from M43(You can try with Canary from today!!). That feature is Hot-Plug. So, the Chrome immediately recognizes MIDI device’s connection or disconnection. The connection/disconnection of MIDI device is informed by event. Before M43, Chrome does not recognize the MIDI devices are connected after requestMIDIAccess() is used. I think to add this feature is a big progress!! In the spec, Hot-Plug feature is written as “onstatechage” in MIDIAccess Interface and MIDI Port Interface. Let’s take a look at how to write code. The device information(MIDIPort) which is connected/disconnected is set in port. And its status is coming into port.state. port.state has 3 status in below. 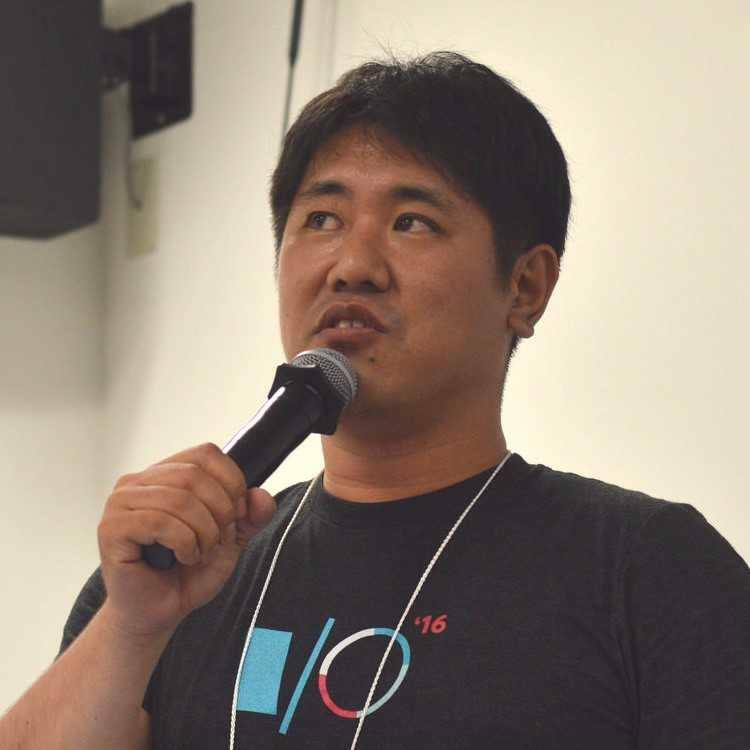 For MIDIPort, code and state are exactly same with MIDIAccess. 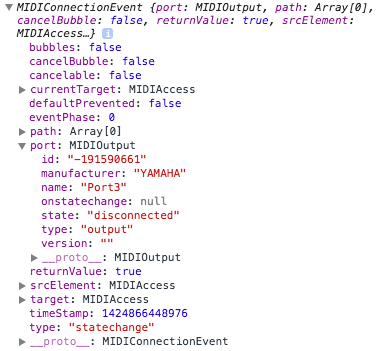 When the event is attached to MIDIPort, connection/disconnection will be detected and informeb by event. This update would help lots of application which is using Web MIDI API and improve user experience!! !